Coinstar offers machines (kiosks) that allow you to exchange your spare change for cash or an eGift card. The machines are commonly located in places like grocery stores or supercenters. You can see an example of a Coinstar kiosk in the photo above. Using Coinstar is a simple process. You pour your coins into the Coinstar machine and the machine counts your coins. Once the machine finishes counting, you are able to print a voucher from the machine that indicates the amount you are to receive in cash. You take the voucher to a cashier in the store who will issue your cash. The good news is that there is no fee to obtain an eGift card. You keep every last penny if you pick the eGift card option. You will be issued a paper eGift card at the machine, which contains a code. You use this code at checkout at the eGift store you selected (i.e. Amazon.com). While the eGift card is provided without a fee, there is a fee to obtain cash. Generally, Coinstar charges a processing fee of 11.9%. Therefore, 11.9 cents of every dollar is paid as a fee. For example, if you put $100 in coins into a Coinstar, you will receive back $88.10 after the 11.9% fee is excluded ($100 – $11.90 fee = $88.10). This is quite a large fee and may deter some people from using Coinstar. You should ask yourself if the convenience of using Coinstar is worth paying the fee before you use the machine. Note that Coinstar.com indicates that fees may vary by location. If you plan on using a Coinstar for cash, you may want to confirm the fee at your local kiosk so it is clear what you are paying. The Coinstar kiosk will indicate the fee before you begin inserting the coins. You might want to consider rolling your coins as an alternative to using Coinstar. Yes, this can be a huge hassle if you have a lot of coins, but it is often free to take your coins to a bank for cash or deposit. However, you should check on your bank’s policy for accepting coins. Some banks do not require you to roll your coins or may have a policy against accepting rolled coins. Check out our article on coin rolls if you want to learn more about rolling coins. Another alternative to Coinstar is to actually spend your change. It is often easy to store your coins in some dark places of your house and forget about them. However, if you make an effort to spend them, your loose change can be used up pretty quickly. Obviously, you have to use your discretion and not be the crazy guy in line paying $100 all in pennies for groceries. However, buying a coffee with quarters or feeding a meter with change is a good way to dwindle down your stash of coins. We do not recommend using Coinstar for the 11.9% fee. This is just too much to pay when there are free options available to deal with your coins. The no fee eGift card is a nice perk that Coinstar offers and it is something we would take advantage of in the future. 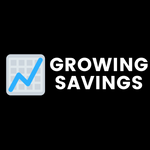 However, we here at Growing Savings encourage saving, of course. We think the best option is to take your coins to your bank and deposit the proceeds into your savings account. You’ll likely be thankful later.